Finally, yesterday Ghost was released for public. 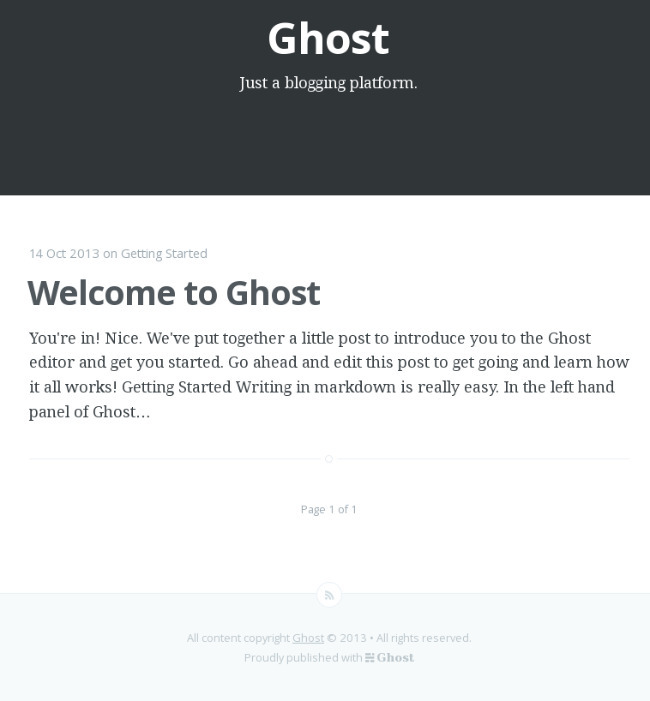 A long-awaited 'just a blogging' platform. To help you get started here is a complete solution for Ghost new users. This quick tutorial will help you setup a cheap VPS, configure Ghost and finally give you a chance to win a premium domain www.ghostcenter.net. 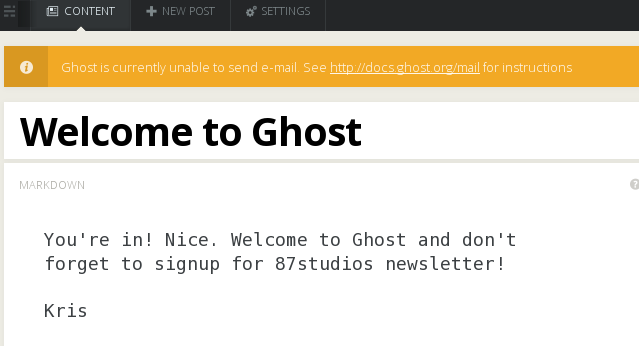 To install Ghost, you need hosting with Node.js installed. 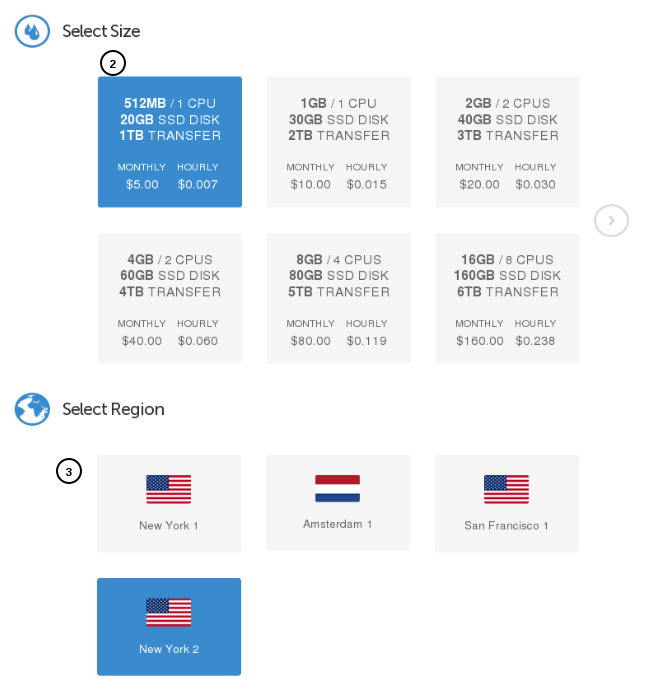 But in this tutorial, you won't need to do this, because I decided to use DigitalOcean VPS for $5/month to do this. Go to DigitalOcean and sign up. Log into your account and click the green CREATE button on the left. 1.Droplet Hostname It's a unique name of your server, so you can identify it if you have a few. The name should not contain any spaces or special characters. 2. Droplet Size Choose the cheapest solution with 512MB RAM and 1 CPU - it will fit your needs and can handle big traffic after setting up with this tutorial. But if you'll need more power, it's easy to upgrade at any time. 3. Select Region Pick right location which will match your target audience region, it has quite big impact on SERP. 4. Now the important thing, under Select Image (4) click applications and choose Ghost on Ubuntu 12.04 (5). This will create a ready to use installation. 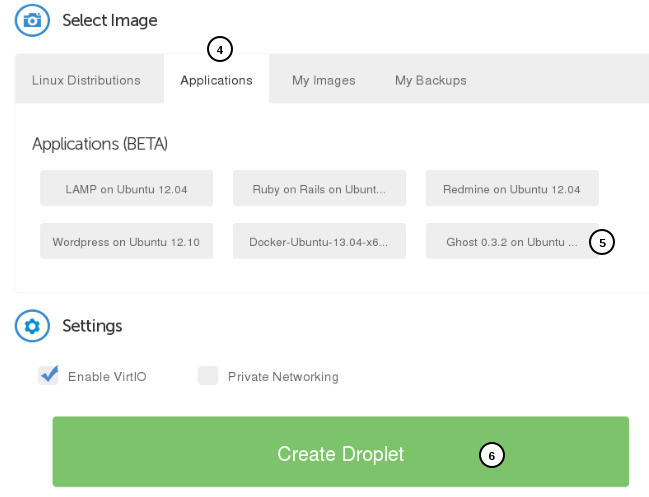 Now, hit the big green button (6) and a new Droplet will be created for you, with all of the things you need - such as Node.js, nginx and including Ghost itself - already configured and setup. Your login and password will be emailed to you. To check your Ghost enter IP adress of your droplet. You don't want to enter your Ghost typing IP address right? 🙂 So, to get it all working, three more steps are required. 1. 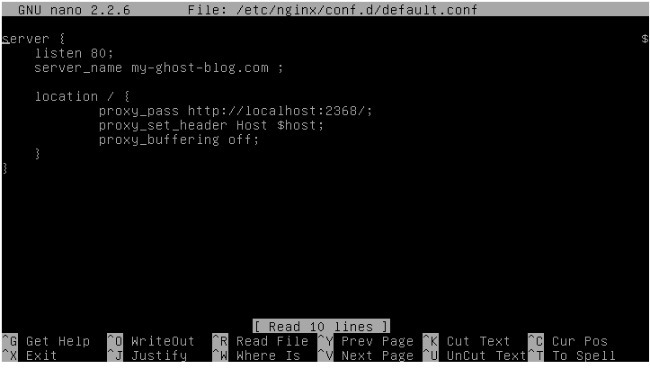 Edit nginx configuration file. Change the server name form my-ghost-blog.com to your domain name. Remember, that you must navigate with arrows on your keyboard, not mouse. Then hit ctrl-x and confirm by typing y to save. 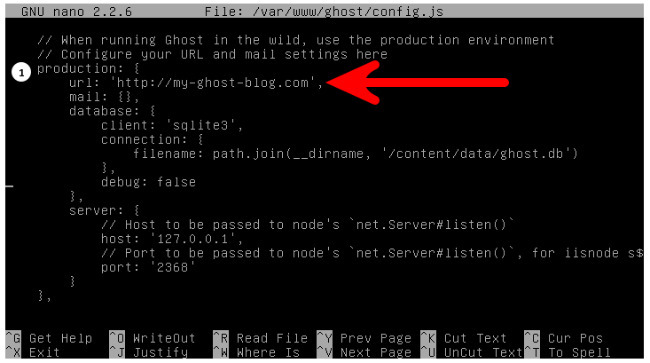 Your Ghost is configured to run in production mode, so enter this into terminal nano /var/www/ghost/config.js and navigate to production url setting (1), and change this to your domain name. 3. Point your DNS to DigitalOcean following this guide. So, now enter yourdomain.com/ghost into browser and sign up. Explore and enjoy. What's left? Use links below to explore Ghost world. To celebrate Ghost launch, we have a premium domain that one lucky reader can win. Domain is registered with namecheap.com so winner must register there to change domain owner. Thank you Kris for having me as the winner of this giveaway! 🙂 I appreciate it much! An upcoming platform with a lot of potential. Nice domain. Would love to see its potential! And about the domain, yes, it has a big potential. I bought it with news website in mind, but later decided to cover Ghost topics here. The premium domain prize is very interesting to me. And thanks for providing complete tutorial to get started with Ghost - it looks easier than I thought. Hah 🙂 You're right. Thanks for comment! Excited to do some hands on with Ghost and thanks for sharing the steps..
You should definitely try Ghost. Stay tuned for more tips and tutorials. I am always looking for premium domains to grab. Thanks for the giveaway, I hope i can win it.